Geometry is a fun unit to teach! 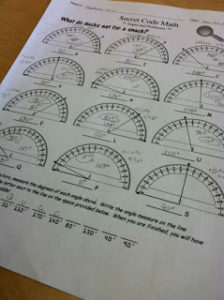 Students love the many hands activities that enhance the geometry curriculum. The 2D & 3D Shape Race Games are perfect for partner independent practice. 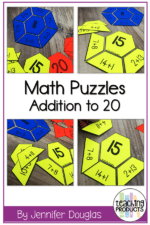 These games will be a staple in your math workshop rotations. 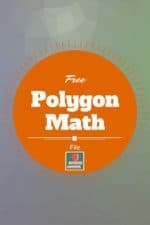 Your students will enjoy these simple yet challenging games. Print the game boards on neon bright paper, laminate or slip into plastic protective sleeves and the students are ready to play. It’s as simple as copy and go! Oh, you will need a dry erase marker, die, and game tokens. 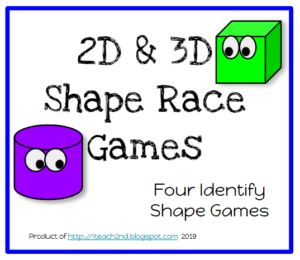 Visit our TpT store for your free copy of 2D & 3D Shape Race Games. I hope your students enjoy this partner game! Remember to check out my TpT store at https://www.teacherspayteachers.com/Store/Iteach-2nd . Protractors + Riddles = Math Fun!